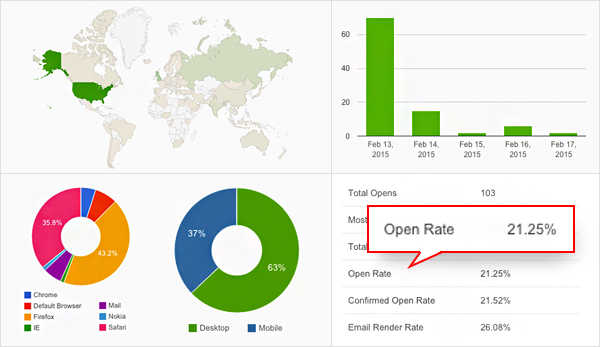 Email open rate statistics – it’s hard to get more basic than that. So, if you consider them as just numbers or are puzzled by their purpose, you are in some serious need of a good old explaining session. Email open rates do not tell the whole story but they do tell one thing – how many subscribers think that your email is worth their attention. How Do We Know People Open Emails? The open rate is the average number of opened emails divided by the delivered sent emails. By placing a unique beacon HTML tracking code inside an email, we know when it has been opened. The code downloads a tiny image – a beacon – from our webserver, which, in turn, signals that the email has been delivered. The statistic is then inserted into our database. We only count delivered emails, while bounced emails are shown in the statistics as bounce-rate. To reiterate, the average email open rate is the number of opened emails divided by the number of delivered emails. Do Enough People Open Emails? Mailigen customer data reveal that the average open rate in 2014 was 15%. Open rates vary from industry to industry and heavily depend on the effectiveness of subject and from lines. The ‘2014 Email Marketing Metrics Benchmark Study’ clearly shows the differences among industries. The healthcare industry has a unique open rate of 26%, while the travel and leisure industry is 15%. The open rate for non-profits is around 25%. For financial services, banks and insurance it stands at around 22%. All emails are not created equal. Open rates differ by message type – newsletters and marketing emails have higher open rates than editorial emails. However, as reported by Epsilon, triggered emails enjoy a higher open rate than business-as-usual emails. Indeed, transactional emails knock out of the ballpark with 39% email open rate, as our own Mailigen customer data show. Additionally, keep in mind that people who do not load images or use email browsers that block images will not show up in your email open rate statistics. Therefore, statistics will not always show you the whole truth about your subscribers’ engagement. Consequently, do not freak out if the numbers seem small, maybe there are some text-only email enthusiasts among your subscribers. In this regard, opinions vary. 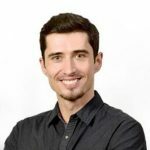 There are many techniques that will help you to improve your email open rates and go from “meh” to good. Some work better in one case, some in another. The good news is that Mailigen offers email marketing tools that can be very helpful. First, send targeted emails. Use segmentation to target your clients more effectively. A targeted email list is bound to be more interesting to recipients because the subject is compelling to them. Sending relevant email newsletters is one of the “best practices” of email marketing – you can study up on it here. Second, polish your subject lines. Of course, you should not resort to sending emails with a fake headline, as this will only tarnish your brand’s trust. Nevertheless, try your best to spark the recipient’s attention – our Subject Line Advisor will help you with this. Symbols can also get your subject line to stand out in a crowded inbox. Third, test from and subject line. 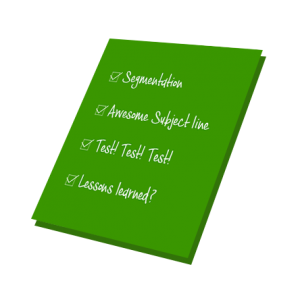 The recipient’s reaction to sender and subject lines (among other elements) can be tested with an A/B split test. Mailigen has just the right A/B split test feature for this. Last but not least, make long-term conclusions. There are uncontrollable external factors that influence email open rate statistics – even the weather can be one of them. If your open rate drops 2% in a single campaign, do not panic. If there is a 2% drop in a year, maybe you ought to try something different. Your Mailigen account has all of the relevant statistics on your campaigns, including your email open rate. This data can be found under Email Campaign Reports in the Open Statistics section. Among email open rate, you will find a variety of interesting open statistics that can be valuable for future campaigns, especially segmentation – dates when emails are opened, the devices and browsers that your clients use to open their emails and their geographic location. The email open rate does not tell you a whole lot but a good email open rate can give you the much-needed edge over your competition. You are now equipped with the need-to-know basics on email open rates – decide how you can improve your results and take action now!